Just when North American cinema operators looked forward to having blockbuster films like “Thor: Ragnarok” and “Star Wars: The Last Jedi” come along and boost a box office that has sagged in the second half of 2017, along comes Disney to squash any such dreams. Make no mistake, it’s not that these films won’t be huge box office hits – they will be – it’s just that movie theatre owners will be sending most of the money from ticket sales straight to Disney. And there’s little exhibitors can do about it. At least that’s true for “Star Wars: The Last Jedi” according to reporting in the Wall Street Journal which claimed Disney was demanding movie theatres in North America pay 65% of the films box office for every week it plays. Oh… and the movie needs to play for at least four weeks in each cinema’s largest auditorium, otherwise the studio is charging a 5% penalty, bringing their total cut to 70%. Keep in mind, these terms only apply if “The Last Jedi” is able to surpass the USD $500 million mark at theatres in the United States and Canada. But let’s face it, in 2015 “Star Wars: The Force Awakens” topped out at USD $937 million in the two territories to become the top grossing film of all time. The question is not whether the latest Star Wars entry will surpass the USD $500 million mark but how long it will take to do so. Though the 5% penalty for what is known as short shows or split screens is a new term in its film rental agreement (more on that in a moment), this isn’t the first time Disney has asked for a lions share of the box office on one of its releases. For “The Force Awakens” it charged 64%. On average, North American exhibitors pay between 50-60% of box office in film rental, with blockbusters regularly hitting the upper end of that percentage. To put this in perspective, film rental in international territories averages 40%. We could get into how 90/10 house allowance deals, which were being used by some distributors as late as 12 years ago, enabled film rental to reach higher than the original agreed upon percentage of 60% for big blockbusters. But it would require a long and confusing mathematical explanation of how such schemes work and since it was the rare release that ever covered the house allowance to cause the 90/10 terms to trigger, it’s hardly worth it. As for the 5% penalty Disney has worked into its contract, it will apply if a cinema operator moves “The Last Jedi” from its largest auditorium within the first four weeks of release, or in certain instances, if an exhibitor drops showtimes from its schedule during that time period. That kind of programming might work for major circuits in large markets, but for independent theatres in small towns, it makes no sense whatsoever. Most of those markets will have burned through a release, even one as hot as Star Wars, in three weeks. Disney is asking such owners to play “The Last Jedi” to empty houses and then take 65% of whatever minuscule ticket sale revenue is earned. 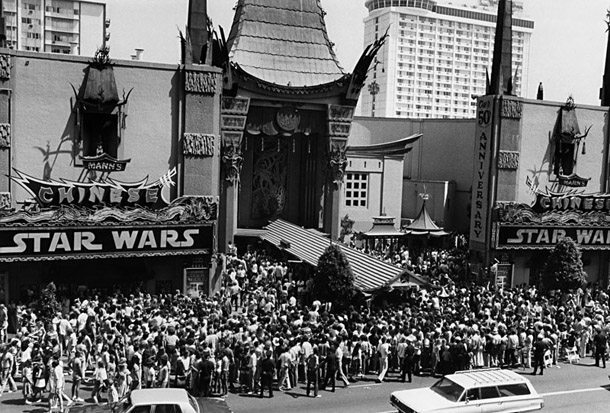 The Force is strong at the box office – since 1977. If “The Last Jedi” were being released by any other distributor but Disney, exhibitors would never agree to such lopsided film rental terms, however they would hardly be put in such a position in the first place since no other studio would ever propose them. Here’s why; if, for instance, Twentieth Century Fox wanted to stick it to cinema operators with 65% box office terms for “Murder on the Orient Express”, when it came time to release “Ferdinand” or “The Greatest Showman” the following month, exhibitors would do their best to keep terms between 40-50%. Should Warner Bros. decide to offer 65% terms for “Justice League”, then theatre owners would push for 45% film rental levels on “Father Figures”, Warner’s next movie. Distributors, on the other hand, are mostly prohibited from block booking, or playing one film off another, when negotiating film rental terms in the U.S., thanks in part to a 1948 Supreme Court ruling which has become known as the Paramount Decree. Though exhibitors would shy away from negotiating terms for two films at the same time, they would simply keep the memory of the gouging they took on an earlier movie in mind when negotiating future releases. Cinema owners don’t have this option when it comes to its deals with Disney because the Mouse House has only been releasing big hits. Last year alone, the studio accounted for 26% of North American box office with only 13 films. This year they’re already up to 16% with such blockbusters as “Beauty and the Beast” and “Guardians of the Galaxy”. Yet to come are “Thor: Ragnarok,” which opens this weekend to what could be more than USD $100 million, followed soon after by the animated Pixar movie “Coco,” which is getting lots of advance buzz. If you were an exhibitor, which one of these titles would you want to haggle with Disney over? Which other studio release would you threaten to book instead? Could you find one that would attract as many potential popcorn buyers as a family friendly Pixar film or the latest Star Wars installment? Probably not, and Disney knows that. 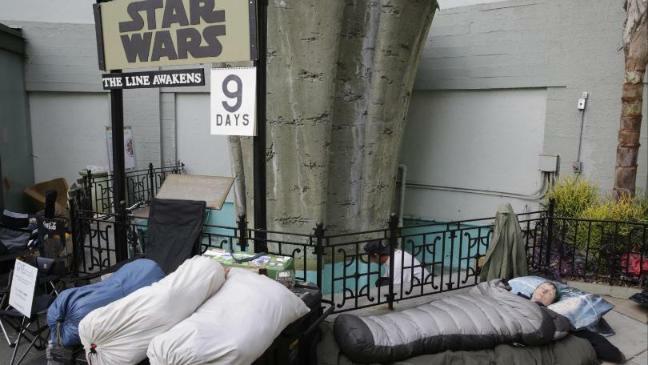 Fans will sleep in line for “Star Wars” tickets – and cinemas know it. And attracting large audiences to their cinemas is the ultimate goal of any exhibitor because the more patrons that walk through the door, the more high margin concession, food and beverage sales rise. Of course, all of this assumes that a theatre is the only place to see new releases and right now every studio but Disney is attempting to shorten the theatrical release window to get movies into the home earlier. This might make exhibitors more reliant on Disney’s platinum content, not less, no matter what deal they are forced into. One consequence of entering into such film rental agreements is the difficulty it puts on exhibitors in dealing with other studios that want to see their own releases booked into a multiplex’s biggest rooms. Imagine how frustrated Sony Pictures or Universal Pictures will be when trying to get “Jumanji: Welcome to the Jungle” or “Pitch Perfect 3” into large auditoriums over Christmas week, but are blocked because the “The Last Jedi” is in its second week. Unfortunately for cinema operators Disney’s recent film rental deal for “The Last Jedi” couldn’t have come at a worse time. The share prices of the three big exhibition chains have been taking a beating all year with AMC fairing the worst, down 59%. Meanwhile Regal and Cinemark aren’t doing much better, down 21% and 6% respectively. Even medium size exhibitors have taken a hit, with Marcus Theatres slipping 14% since the beginning of 2017. During third quarter earnings calls senior management at these circuits predicted a fourth quarter box office recovery lead by “Thor: Ragnarok” and “The Last Jedi” would bolster year end earnings. If that turns out to be true, it might be more due to increased popcorn sales than box office revenue. Jim Amos contributed reporting to this post. Tags: Disney, Box Office, Wall Street Journal, Film Rental, "Star Wars: the Last Jedi"